See this article called Ten Fascinating Cases of Mind Control for a fascinating compilation of videos documenting how parasites send their genes into the future (procreate) by controlling the minds of other creatures. Richard Dawkins describes this behavior as an extended phenotype--the parasite can manipulate its host's behavior to help the parasite reproduce. One video in that link describes how a parasite alters the behavior of rats to actually seek out the company of cats, which tends to get them eaten, thus sending the parasite into the gut of the cat to complete its life-cycle. An estimated 60 million Americans are infected by this same parasite, which may explain a few things. This garden has been a lesson in human nature for my kid. I warned her that people would let their dogs crap on her vegetables. She didn't believe me. All summer we watched from our living room window as one neighbor after the other stood there to let their dogs crap in her vegetable garden. Just today I watched another neighbor let both of her dogs take a dump right in the middle of the freshly tilled soil. A sign asking them to stop would make some of them feel guilty, which would make some of them angry. 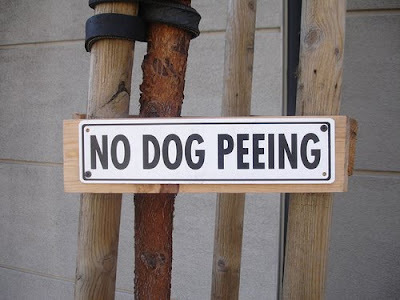 Most would probably let their dog crap on the garden anyway, possibly after looking around to make sure nobody is watching. We decided that the best option is to build a picket fence around the garden and to plant far enough from it to avoid over spray.